The only thing I don't like about Fall are the "hornets". Those damn bees drive me nuts! We were at a restaurant in Georgetown on Saturday afternoon eating outside and they wouldn't leave us alone. Hate those little bastards! 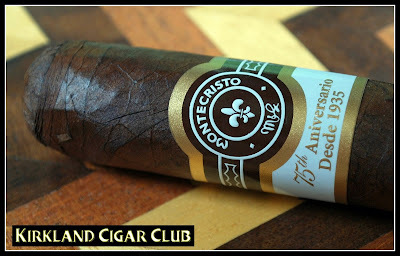 Anyway, so last week I mentioned that I bought a Montecristo 75th Aniversario cigar up at the Snoqualmie Casino Lit Lounge - well I decided to smoke it on Friday night down at the Tobacco Patch. I'm not going to say that I loved it, but it wasn't all that bad. Medium bodied, nice draw, full flavored, not a real big fan of Habano wrappers, I'll smoke them, but I generally don't search them out. Overall it was enjoyable. I think I might have enjoyed this more with a glass of rum though. Pouring down rain Friday night, so instead of going down to the Patch, we decided to head up to the Snoqualmie Casino and have a cigar up there at the Lit Lounge. First, a quick stop at the Metropolitan Market in Houghton for a mocha and pastry, then we set off on our journey to Snoqualmie. From Kirkland to the casino it's about 20 to 25 minute drive, not exactly close, but it's a lot closer than the other casinos. When we arrived we started out on the poker slots up at the bar, they've been good to us before - however, not tonight though. We blasted through our allotted amount of cash in no time at all. So that brings us to the main reason we're here: Cigar time! We walked into the lounge and saw some familiar faces - Kirklanders. That's one thing that's kind of neat about Kirkland - there are a lot of cigar smokers. Anyway, it wasn't too crowded, so we arranged a few tables together to make one big one, just like in town. I brought along an Oliva Serie V. Pretty reliable smoke. I ordered a glass of Pyrat Pistol rum neat and lit up my cigar. 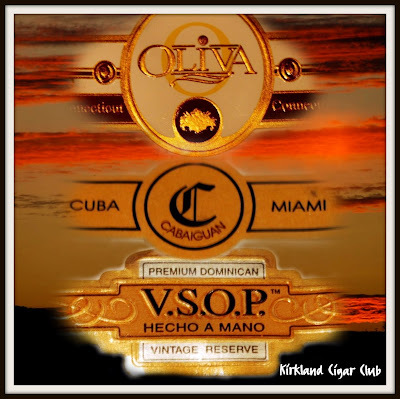 One more Oliva to report - this was a maduro box press pyramid Serie G, just a little short guy. I smoked this on Saturday night, yes it was raining, but my new little setup on the lower deck at my house is working out really good. Nice comfortable chairs, music, TV, fireplace if I want, and I'm staying dry. Sweet! 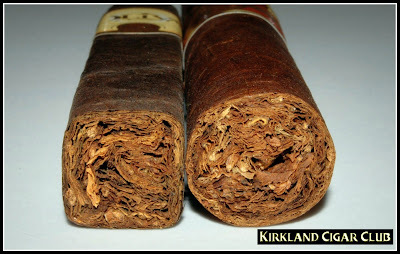 Anyway, this was the BEST damn cigar I've smoked in ages - medium to full bodied, tons of creamy smoke, very, very smooth. I could have smoked this all day, but unfortunately it was one of the shorter varieties. I would have lit up another cigar, but the rain was starting to piss me off. Heck, when does it not! A couple of weeks ago I mentioned that we went to dinner over at John Howie Steakhouse at the Bravern, and I also said that it wasn't worth the money. Well, it looks like they're going to get a second try. You see when they brought me the bill that night, there was also one of those card that you fill out with your birthday, anniversary, etc., but on the back of that information card was room for comments. So I put my email address on the front and on the back I put the comment "TOO SALTY", that's it, just that. Well, from that little comment I received an email from the manager of the restaurant, which I replied to, and then a written apology mailed to my house, plus a $100 gift certificate asking me to give them another try. Damage control, big time! So I guess we're going back for a second try. My problem is that I hate to complain while I'm at a restaurant - sending food back to the chef is one of the biggest insults you can give. Heck, I have a hard time telling the Barista that my mocha isn't hot enough. Oh well, I'll keep you posted on the outcome... Stay tuned. On a more positive note, I was on vacation last week, kind of a working vacation - we're in the process of remodeling our master bathroom. JEEZ, that's a ton of work. 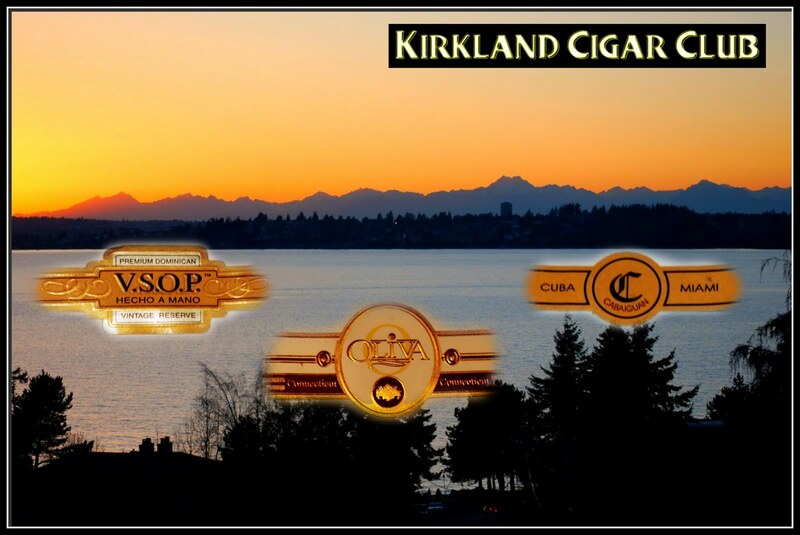 Anyway, since I was off all week, I had plenty of time to kick back and lite up a few fine cigars. Yes of course I'm still smoking the Oliva's, but I did smoke my Padron Family Reserve 1964, 45 year Anniversary cigar that my wife picked out for me. OH LORD, that was a good cigar. One of these days I'm going to have to swing by the Bellevue Tobacco Patch and thank those guy for pointing this cigar out to her. "Thank-you!" That has to be one of Padron's best smokes. The only problem is the price $$$. Heck, you only live once, right? 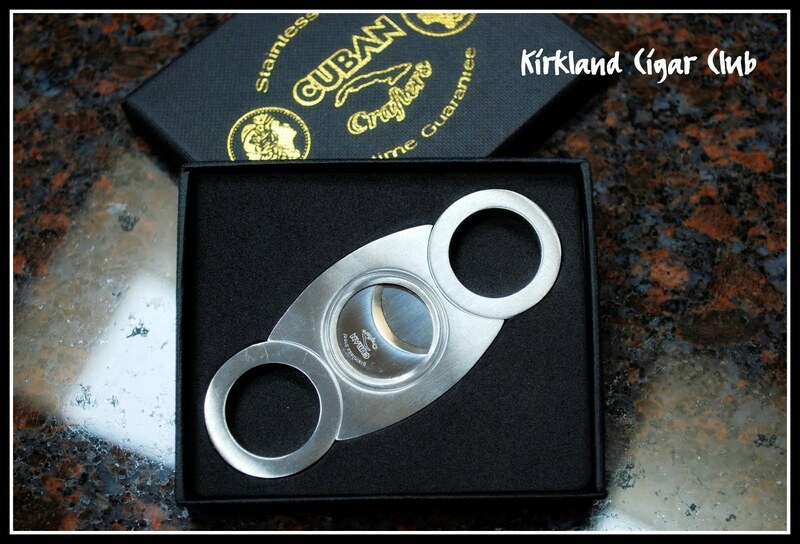 I bought 5 of these for practically nothing on a cigar auction site. I don't know how they can price them so cheap and still offer free shipping. Anyway, I couldn't pass this deal up, plus I've never tried any of the Alec Bradley cigars. So what did I think? I liked it! Heck, for the money I loved it! I've smoked a couple of these already and both were very good medium bodied cigars, no problem with the draw, and a rich creamy smoke, maybe a little peppery in places, but overall a cigar that I was very happy with. Would I buy them again? If I see them for the same price that I bought them for, without a doubt. I went to lunch the other day at the Ipanema Brazilian Grill in Seattle. I think it's still the only churrascaria in the Puget Sound area. Anyway, if you haven't tried a Brazilian barbecue before, you ought to give this a try. It's not quite the same as in Brazil, but for the Pacific Northwest it was terrific! It's located across the street from the Seattle Art Museum (SAM). Last night after a BIG dinner and after working all day tiling our master bathroom, my lovely wife and I decided to take a cigar break out on the back deck. I grabbed a bottle of brandy, some glasses, a small amount of chocolates, plus a cigar that I've been meaning to try. We headed outside, got situated, and I fired up the fireplace. It had actually rained all day, but now it looked safe enough to sit out here, I could see a few stars between the clouds overhead. So the cigar that I picked for tonight was given to me by my local tobacconist. It was a H Upmann 1844 Sun Grown. Short little cigar, but a BIG ring size. I gave it a guillotine cut and lit it up. At first the draw was real airy, I thought it might have a hole or rip in the wrapper someplace, but after a minute or so everything was absolutely perfect. I loved it! I don't know if I was just tired and needed to sit back and relax, but I thought this was one of the best cigars I've smoked in ages. Perfect draw (after the first couple of minutes), superior taste, exceptionally smooth, medium bodied, and billows of smoke. Jeez, this cigar was made for me. I know it was good, because when I finished it, I lit up an Oliva. 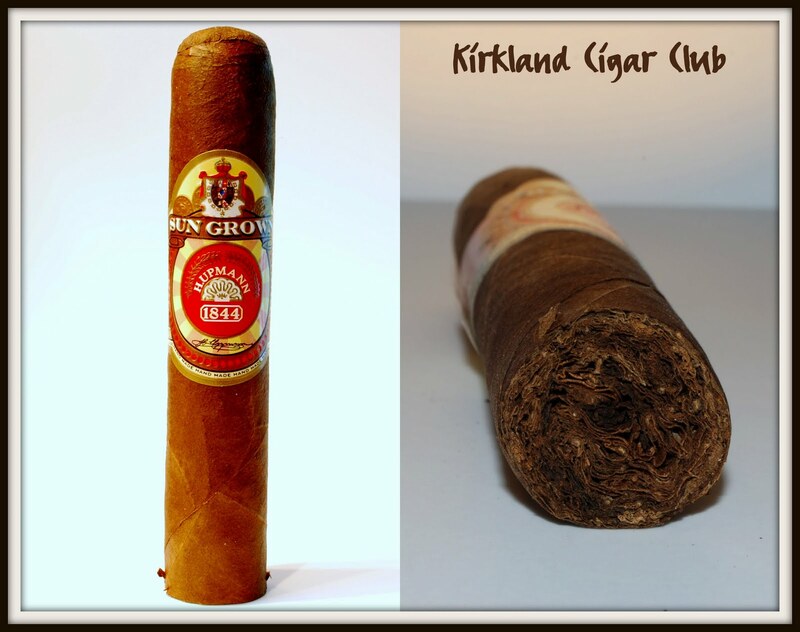 No comparison - the Sun Grown was far better in my opinion. Oh no! Did I say that out-loud? Something better than Oliva? What's this world coming to! I'm going to buy a couple more of these Upmanns just to see if it wasn't a fluke or something. It was that good. Oh and yes, it started raining while we were outside. I think I was just about done with the Upmann, but the fire still had a long way to go. We basically moved our chairs under the house awning and I scooted the fireplace as close to the house as possible. We stayed dry and only a small portion of the table top on the side of the fire pit had any water on it. Cool! A new place to smoke cigars on crappy weather days. Started on Thursday night after dinner at John Howie Steakhouse. By the way, if you're ever at the Bravern in Bellevue, I would NOT recommend dinner at this steakhouse - the soups were good, but everything else was lacking. Anyway, we stopped by the Tobacco Patch afterwards and had a cigar with the gang. I would have smoked one of my Oliva figurados, but I forgot to bring one with me from home, and now I'm too lazy to drive back to the house, so I just picked something out at the shop. I chose a Cabaiguan. 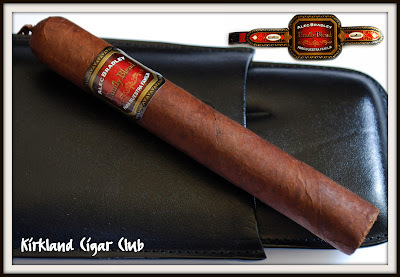 Nice cigar - I've smoked them a few times and I've never been disappointed - unlike my dinner. If you like a good smooth medium bodied cigar, this is right up your alley. Saturday afternoon we went up to my cousin's house for a BIG BBQ. It looked like it was going to rain first thing in the morning, but in the afternoon it turned out to be a gorgeous clear blue sky day, and kind of warm as well, couldn't have picked a better day for a barbecue. Anyway, this was one of those rare parties where the majority of people smoked, or even better, smoked cigars. 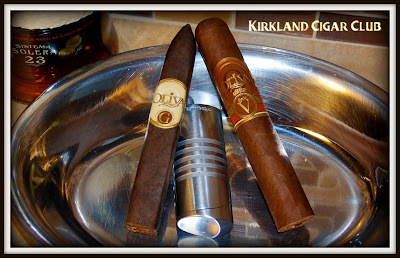 I just happened to bring along a couple of Oliva's. Man, what a great party! Enough food and drink to supply an army. It was a great time for all! So while I was at my cousin's house, her husband has an oversize 200 count cigar humidor sitting in his living room and it's packed full with just about every brand there is. Since I gave one of my Oliva's away to a guest, I needed something else to smoke. No problem, our host pointed me to the humidor. I chose a VSOP Vintage Reserve. I was going to take one of his Montecristo No.2 (Cuba), but I know this brand pretty well. From what I remember of this torpedo, it was a nice smoke - medium bodied, smooth taste, good draw, maybe just a little hot at the very end, but surprisingly good. I don't know how much these cost, but I'd definitely buy one. The only problem is that I've never actually seen one in any of the cigar stores that I frequent. I'll look around a bit and get back to you. 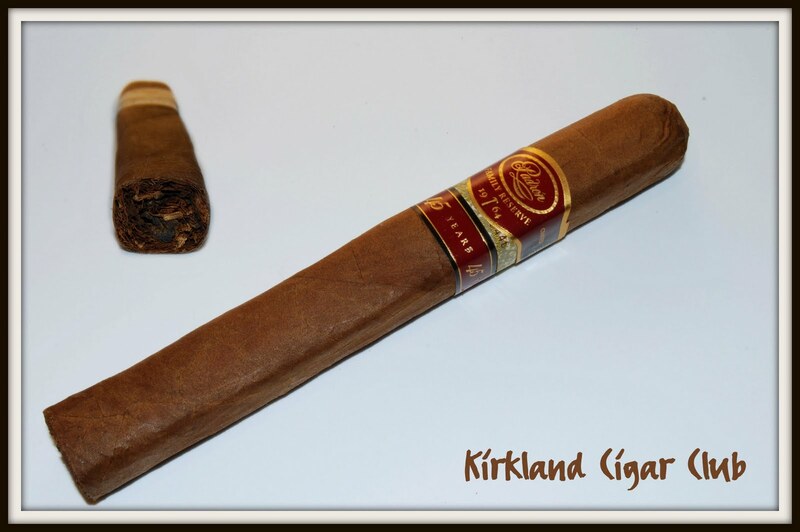 My lovely wife bought me a Padron 1964 Anniversary cigar last week - it's on my menu for this weekend! Side note: Did anyone notice that they're opening yet another coffee shop in downtown Kirkland? Rococo Coffee & Tea Company. It's just down from Cactus Restaurant. This will be very interesting to see if yet another coffee establishment can make it downtown. The problem is that within literally feet of each other, you have Starbucks, Zoka and Caffe Ladro, that's not counting all the restaurants and bars that also serve the same coffee drinks.